Will the Tersus PPK solution work with my autopilot/flight controller? Yes! Tersus PPK solution is platform independent, which does not just mean that it can go from your fixed wing UAV to your Multi-rotor but also means that it operates independently of your flight controller. In fact, there is no connection between the Tersus system and your flight controller, unless you are using your flight controller to trigger event mark in Tersus system or use Tersus system for navigation purpose. So whether you are using an APM, Pixhawk, NAZA, WOOKONG, MICROPILOT, Mikrokopter, Microdrone, or any other flight controller, Tersus PPK solution will still work! What are Tersus BX-series GNSS OEM boards/receivers? Tersus BX-series GNSS OEM boards and receivers are cost-efficient solutions for obtaining raw GNSS measurements and centimeter-level precision positioning. Those boards/receivers include BX316, BX316R, BX316D, BX306, BX306Z and BX305.All BX-series OEM boards offer multi-constellation (GPS, GLONASS, and BeiDou) and dual-frequency tracking capabilities, which improve the availability, continuity and reliability of RTK solutions in challenging environments. What are the differences of Tersus BX GNSS OEM boards? All BX316, BX316R, BX316D, BX306, BX306Z and BX305 support multi-constellation (GPS, GLONASS, and BeiDou) which are designed to deliver centimeter precision positioning and accurate raw measurement output. The differences among those BX GNSS OEM boars are listed below. ● The BX306 is capable of accepting/sending NovAtel-compatible command and logging protocol, and are pin-to-pin compatible with OEM615 receivers. 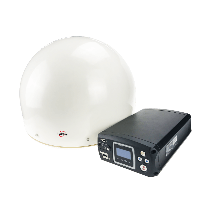 Using the BX306 provides efficient pathways for rapid delivery of GNSS-capable products to markets. ● The BX306Z has flexible interfaces and is pin-to-pin compatible with the Trimble BD970 GNSS system. It is designed for take-up by original equipment manufacturers and system integrators. ● The BX316 commands and logging are compatible with NovAtel protocols. On-board Ethernet, USB, LVTTL, RS232, CAN, PPS and Event Mark are supported. An on-board SD card (up to 32GB) supports data collection. ● The BX316R is a multi-GNSS, post processing kinematic (PPK) board which supports raw measurement output from two antennas. An external SD card (up to 32G) enables developers and end-users to record data for post processing. ● The BX316D uses common interfaces, logging and command formats, which can be configured for compatibility with major OEM boards. It is pin-to-pin compatible with NovAtel OEM617D. What is the positioning precision of the Tersus BX GNSS OEM boards? The Tersus BX GNSS OEM boards can output four types of solutions, including single point position, DGPS, RTK float, and RTK fixed. The BX boards can automatically determine the solution type according to the observation conditions and data link status. Take BX316 GNSS RTK OEM board for example, the positioning precision details are listed below. What is the refresh rate that Tersus BX GNSS OEM boards support? Tersus BX GNSS OEM boards support 20Hz raw measurements. For position solution, 20Hz is supported for three constellations (GPS+GLONASS+BDS) and 10Hz is supported for two constellations (GPS+GLO or GPS+BDS). Do Tersus BX GNSS OEM boards support raw data logging? How to do the raw data logging? Can I use the Tersus BX GNSS OEM boards for PPK (Post-processing Kinematic) UAV application? Yes. The following loggings must be saved from the base and the rover respectively for PPK application. What constellations do Tersus BX GNSS OEM boards support? Tersus BX GNSS OEM boards support GPS, GLONASS and BeiDou. Do Tersus BX GNSS OEM boards support Galileo? Tersus BX GNSS OEM boards don’t support Galileo at this moment. Galileo will be supported by Q3, 2018. Do Tersus BX GNSS OEM boards support heading? Yes. BX316 and BX316D GNSS OEM boards support heading output. Can I set up Tersus BX GNSS OEM boards as base station? How can I get the accurate position coordinates for base? ●If a nearby CORS station is available, config the receiver as a rover to receive the CORS' RTK corrections, then the accurate position will be got. ●If you have a receiver supporting L-band, it can output cm-level position after the solution is converged. 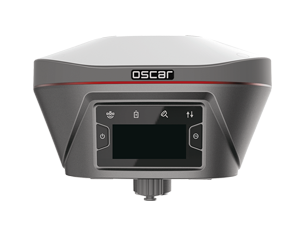 ●You can collect raw measurements for some time with the receiver; send the data to OPUS to get the accurate position. Does Tersus provide any post processing software? How can I convert the data file into RINEX? You can convert the collection file to RINEX format with Tersus RINEX Converter. Please note, rangeb or rangecmpb loggings must be included in the file, or no RINEX file will be created. What kind of data log file types do Tersus BX GNSS OEM boards support? It depends on what loggings you're saving. If a binary format is output, then a *.bin file will be created. If NMEA loggings are output, then a *.nmea file will be created. If the RTK corrections from the base is saved, then a *.passcom file will be created. What is the power consumption for Tersus BX GNSS OEM boards? Please refer to the typical power for BX GNSS OEM boards below. Why I can’t power the BX GNSS OEM board by using low end power supply? The BX GNSS OEM boards have performance requirements (such as ripple, P-P value) for the input power, so if an unqualified power is used, the receiver may not work properly or even worse, the receiver has risk to be damaged. So please ensure qualified power is used. What are the communication methods I could use to talk to the BX GNSS OEM boards? The BX GNSS OEM boards/receivers have two serial ports, so any serial tool can be used to communicate with the BX receivers. Tersus GNSS Center is recommended since it's a graphic tool and has some features just for the BX GNSS OEM boards/receivers. Can the BX306 be used for aerial photogrammetry with a UAV without the need for ground control points (GCPs)? ●The performance of the camera. ●The latency of the control system. ●The scale of the mapping. According to our experience, GCPs are necessary for large scale mapping, for example, 1000:1 and 500:1. What kind of differential message protocols do Tersus GNSS OEM boards support? The Tersus GNSS OEM boards support RTCM 2.x/3.x/CMR/CMR+. Other communicated differential messages include correction message, correction data and differential data. How long does it take for Tersus GNSS OEM boards to get its first fixed solution? In open sky environment, the initialization time for different first fixed solutions is listed as below. Is there any configuration required for receiving different forms of RTCM? There is no extra configuration necessary for receiving different RTCM messages. The Tersus BX GNSS OEM boards can automatically recognize RTCM2.X or 3.X. There is no significant difference between the versions. What are the general reasons that a rover can’t get fixed solution? ●Does the antenna have good view of sky and is the communications connectivity reliable? ●Is the power to the antenna is OK? ●Have the RTK corrections from the base been transmitted successfully? ●The corrections datalink is OK.
●The baud rate and the receive type of the rover’s port are correct. Why a BX receiver outputs unreadable code? ●The receiver’s baud rate is not the same as the computer’s port. ●The USB adapter driver has not installed correctly. ●The GND signal of the adapter is not reliably connected to the GND of the receiver. What are the possible reasons that a BX receiver can’t communicate with a computer? ●The driver for the USB adapter is not installed successfully. ●The receiver’s baud rate is not the same as the computer's port. ●The receiver port’s Tx/Rx type is not correct. ●The cable connection is not reliable. What are the software tools to communicate with the BX receivers? The BX receiver has a serial port, so in theory, any serial tool can be used to communicate with it, for example, Hyper-terminal, UarTerm or SSCOM32. It is recommended that the Tersus GNSS Centre, a graphic serial tool, is used to communicate with BX receivers. What source format does the Tersus RINEX Converter support? 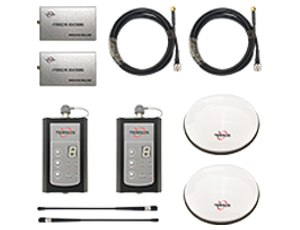 The Tersus RINEX Converter supports raw measurement data and RTCM data. This data can be converted to RINEX 2.10 or RINEX 3.02 by using the Tersus RINEX Converter. Can the Bluetooth module (BT120) be paired with an iPhone? The BT120 Bluetooth module cannot pair with an iPhone. It can only pair with Android smart phones. What are the possible reasons that the Bluetooth module doesn’t work? ●The Bluetooth module is not powered correctly. It may be necessary to power cycle the BX receiver. ●The Bluetooth in a smartphone can’t be paired successfully with the Bluetooth module. The module can only communicate with an Android system. ●The baud rate of the Bluetooth is 115200, so ensure the receiver’s serial port has also been configured to 115200 baud rate. What's the radio frequency range of the radio module? Tersus offers four kinds of radio modules. Why does the BX306 not output RTCM data after the RTCM output related commands have been keyed in? ●A fixed coordinate must be defined for the BX receiver before the RTCM output can be sent. Therefore, use the Fix Position command (see Tersus GNSS Command & Log Reference document) to fix the coordinate first. ●Check the Interfacemode. If the target serial port is not in right mode, it may not output RTCM properly. Use the Interfacemode command (see Tersus GNSS Log & Command Reference document) to set the serial mode. Why the mission planner cannot recognize a BX OEM board? ●Check the power supply. The BX306 board power consumption is about 3W. Note that although a Pixhawk controller can supply power, its output power capability is far less than 3W, in which case the BX306 must be powered by an external power source. A voltage convertor is recommended to convert 12V battery power output 5V for connection to a BX306 board. ●Please check the baud rate settings within the Mission Planner. It cannot be recognized if incorrect baud rate is used. By default, the baud rate of BX306 COM1 port is 115200 bps. ●Please check the NMEA output. The Mission Planner requires GPS sensors outputs, i.e., NMEA GGA sentence, RMC sentence and VTG sentence, at 5Hz. Missing VTG sentences or low update rates may cause recognition failures. ●Check the NMEA talker. Note that the Pixhawk can only recognize the NMEA sentence with GP NMEA talker. Incorrect NMEA talker may cause failure.